This page contains news on Explore Ultra Megalopolis. It includes details which explain the new location Ultra Megalopolis. In the latest Pokemon Ultra Sun and Moon Official Trailer, it reveals the concept to Explore Ultra Megalopolis. 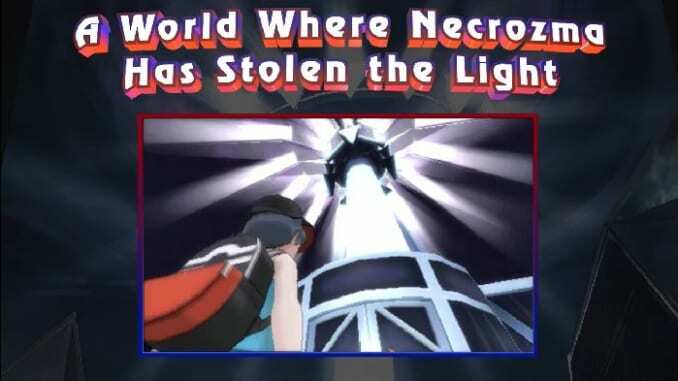 From the rough translation of Ultra Recon Squad’s Phyco in the Japanese trailer, one of the highlights show him mentioning that the Prism Pokemon Necrozma, plans to “steal the light.” This follows the English footage which reveals that such a location exists – The Ultra Megalopolis, a product of Necrozma’s intervention. It shows an area tainted in darkness, where the source of light emanates from the tower at the center. Standing in front of the Trainer is a gigantic tower which illuminates with a vibrant light. There is something special to be found perched at the peak of this tower, as shown by the 35-second mark of the trailer. It seems that similar to the Japanese footage, it shows two Ultra Recon Squad members requesting the Trainer to head to the light. 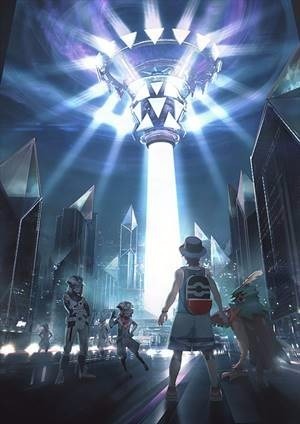 Since it serves as a beacon, this structure somewhat reminds us of the Olivine City Lighthouse which debuted in Johto, however the structure in the Ultra Megalopolis seems to serve a purpose deeper than that. However, the purpose of this requirement is currently unknown. Adventure through an Ultra Wormhole!